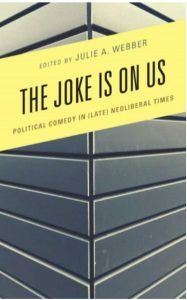 Julie Webber was a guest on WGLT to discuss her new edited volume The Joke Is On Us. 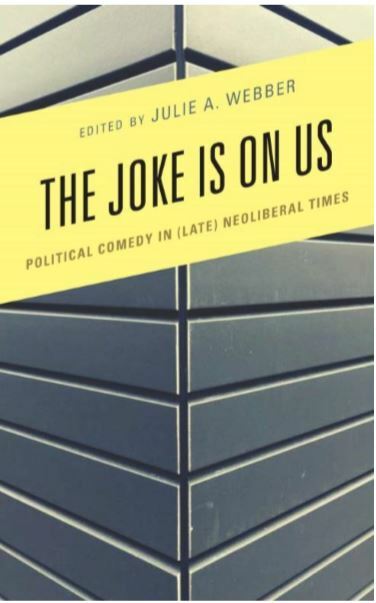 Professor Julie Webber from the Department of Politics and Government sat down with GLT’s Ryan Denham to reflect on what political comedy can and can not do with regard to political action. Webber noted that there’s a widespread belief that comedy or “snark” makes citizens less active in politics, turning them away from it in disgust. Indeed there is a long tradition in American political culture of viewing politics as a space of corruption, not worthy of participation. Most comedy tends to be focused on the absurdities of consumer culture (while leaving consumerism itself unquestioned) and the double-standards of politicians’ behaviors without questioning how politics can move beyond horse race politics.